Protect, restore, and strengthen your skin with our innovative cosmetic dermatology treatments. Our minimally invasive techniques, technologies, and skin care products are designed with natural-looking, long-lasting results in mind. Discover how easy it is to improve your health and vitality today. CLICK HERE OR TEXT “SKIN” TO 474747 AND JOIN TODAY! Welcome to Dermatology & Laser of Del Mar. Our practice was founded in 2004 by Deborah H. Atkin, M.D., our extensively trained and board certified dermatologist. As one of the premier cosmetic laser surgery centers in Southern California, our skilled medical team is committed to excellence in skin care and rejuvenation. To ensure you have the most effective and successful treatment possible, we offer a comprehensive range of state-of-the-art procedures designed to enhance your health and beauty. We recognize that the goals of looking good and feeling good are two branches extending from the same tree. Therefore, we utilize advanced medical techniques alongside leading laser skin resurfacing treatments, non-surgical body contouring methods, and cosmetic injectables to achieve these objectives. If you’re ready to begin your journey to improved wellness, we’re here to help. Meet Deborah H. Atkin, M.D. In practice for over 12 years, Deborah H. Atkin, M.D. is extensively trained in an expansive selection of common and complex skin concerns. She recognizes that each patient is unique, and she provides personalized care and treatment that reflects your individuality. Furthermore, she is committed to creating a soothing environment; one in which you can feel at ease addressing a broad array of issues that matter most to you. As we age, skin loses its ability to retain moisture. 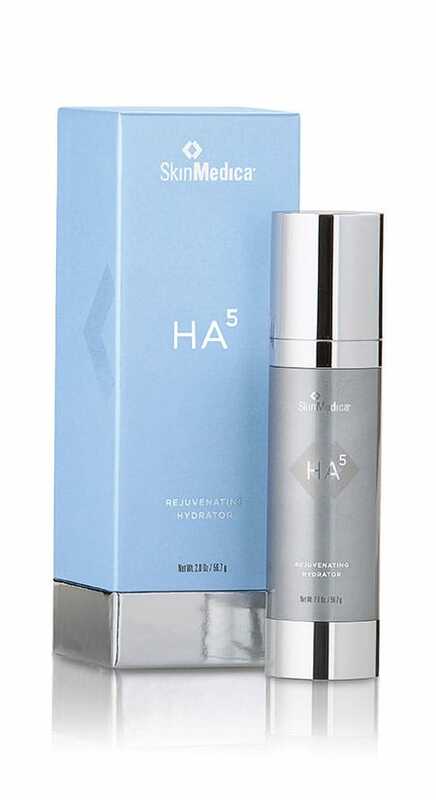 HA5 Rejuvenating Hydrator is an innovative new product from SkinMedica® that can rehydrate the skin using five kinds of hyaluronic acid (HA) molecules. Incorporate this revitalizing topical into your daily skin care regimen to achieve smoother, firmer, and more supple skin on the face and neck. I have done everything I can think of to keep my weight down. I do ab crunches, sit-ups, run and go to the gym just about daily. Not until I had CoolSculpting® did I really see a difference in my abdomen and stomach area! It really works. Treatment takes about an hour per area and I noticed a flattening right away. It will take about two months to see all the benefits and I can't wait!! Just in time to look great in my favorite red bikini! Had a great combo treatment of VelaShape® and ZWave for the ripples and cellulite on my thighs. I saw a difference after the 1st treatment and now I’m going for my third. Before and after pictures show the results so the “heat it up beat it up” reduces the cellulite significantly. I highly recommend Dermatology & Laser of Del Mar. The services are great with great results and the staff is lovely. I will continue. Thank you! I will be able to wear a skort this spring!!! Need an escape from your fast-paced way of life? Our practice is designed to be an oasis that delivers peace of mind as well as improved health and beauty. When you’re here, you’ll experience attentive care and the best cosmetic and medical treatment available. Let us show you how enriching self-care can be.